Richard Mason is a highly motivated and dedicated medical professional with eight years experience in a wide variety of settings. He has worked in challenging environments in the Ministry of Defence, the NHS and the private sector. Richard is determined to provide patients with effective treatment, improving their quality of life and returning them quickly and safely to their chosen activities. He readily develops a rapport with patients, families, staff, physicians and other health care professionals. Richard has a special interest in lower limb injuries, particularly running and has treated runners for many years from fun runners to elite athletes. He has built a reputation within his military and private practice as a running injury specialist who delivers fast recovery for his patients. He believes every runner should include specific exercises to improve their biomechanical efficiency both for best results and injury prevention. 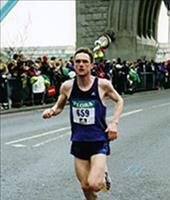 Richard has been a competitive runner for thirty years and has completed several half and full marathons with a personal best of 28th in the 2001 Flora Marathon in a time of 2hrs 22mins 32secs. Richard qualified from Coventry University in 2005, gaining a B.Sc. (Hons) in Physiotherapy. He is registered with the Health & Care Professions Council (HCPC), is a member of the Chartered Society of Physiotherapy (MCSP) and the Acupuncture Association of Chartered Physiotherapists (AACP).